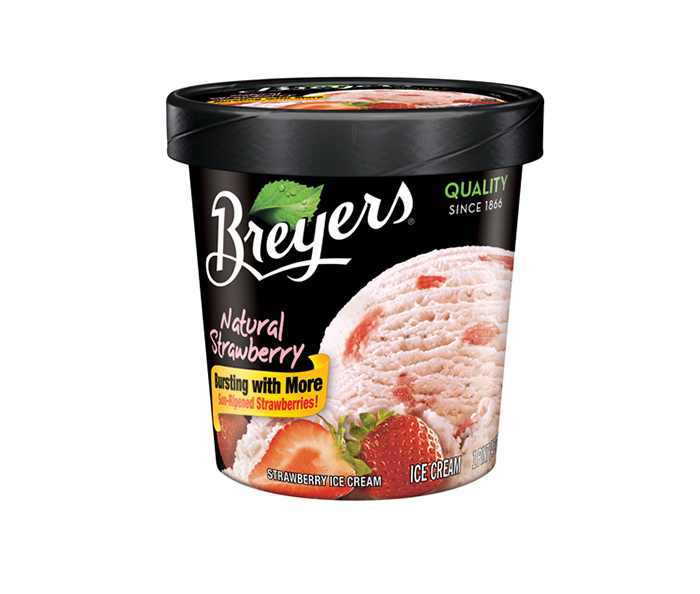 Naturally flavored Strawberry ice cream. Bursting with sun-ripened strawberries picked at the peak of happiness! 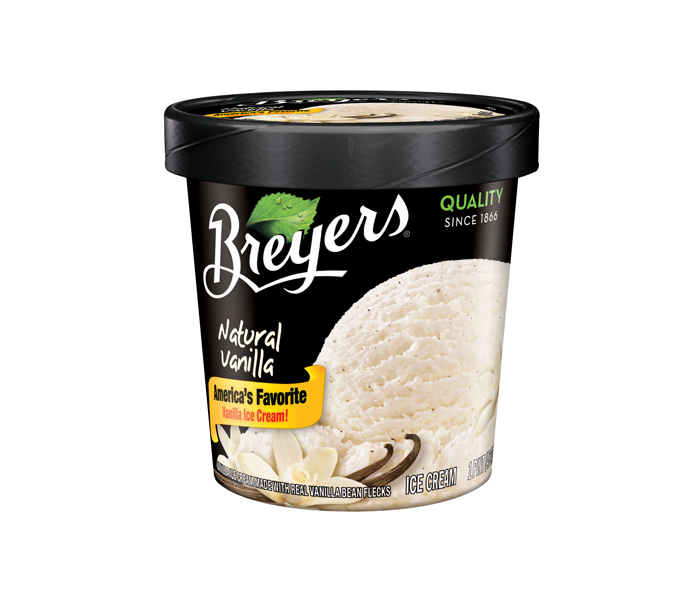 America's favorite Vanilla ice cream, made with five simple ingredients including fresh cream, rich milk, fine sugar and real vanilla bean specks. 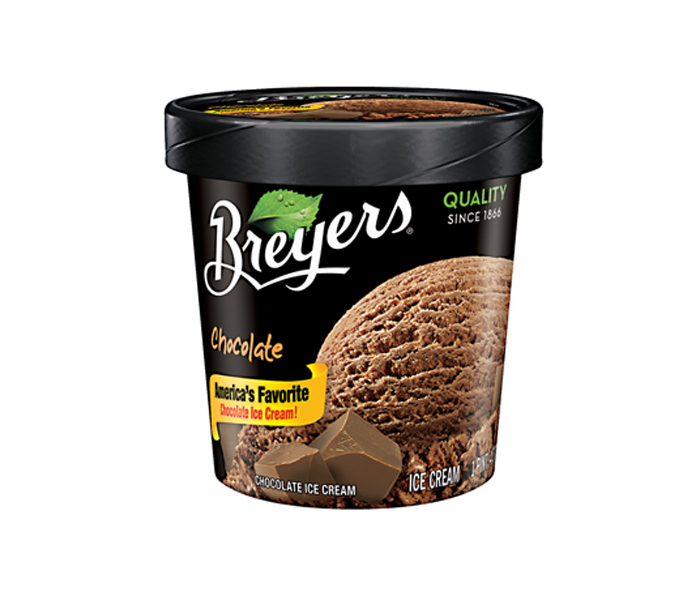 Breyers® Natural Vanilla - inspire your own masterpiece. 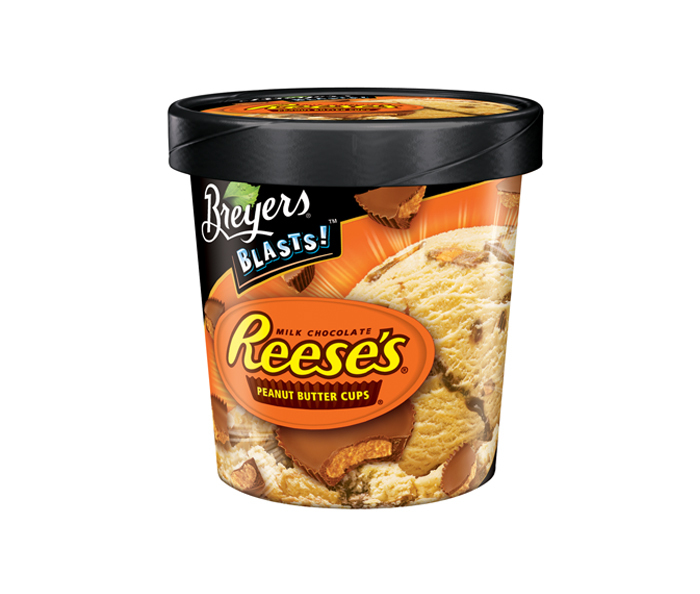 An irresistible combo of chocolate and peanut butter: REESE'S® Peanut Butter Cups and a fudge swirl blasted through Breyers® peanut butter light ice cream. 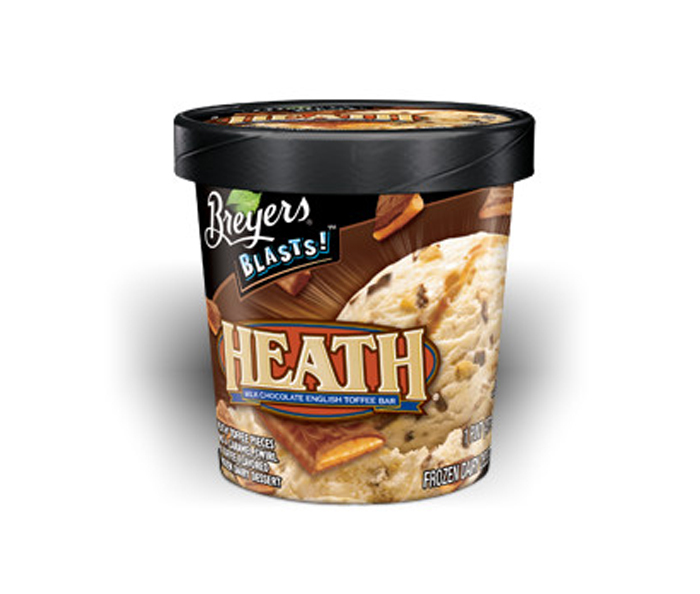 HEATH® English Toffee bar and caramel swirls bursting through a rich toffee treat. 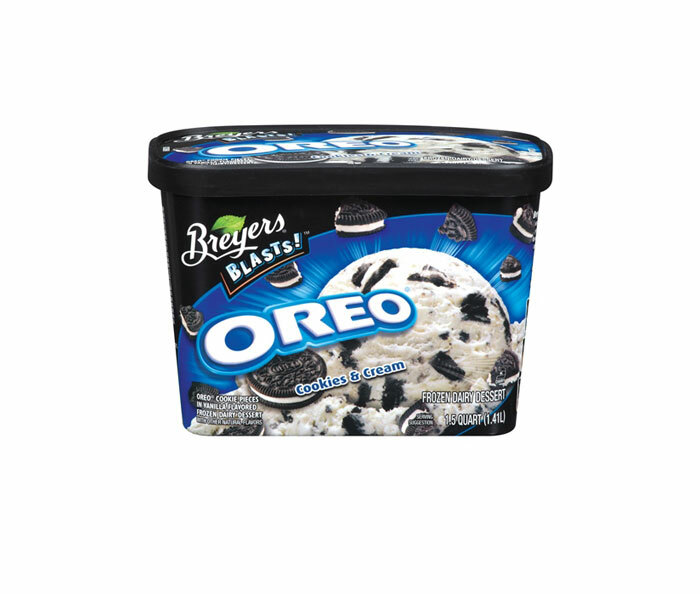 Enjoy a family-favorite cookie, OREO®, blasted into each creamy spoonful of Breyers® Vanilla. 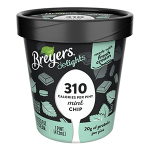 Cool, mint reduced-fat ice cream made with real peppermint extract and chocolatey chips. 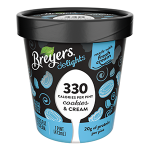 It's 310 calories per pint and perfect for a refreshing, delicious treat. 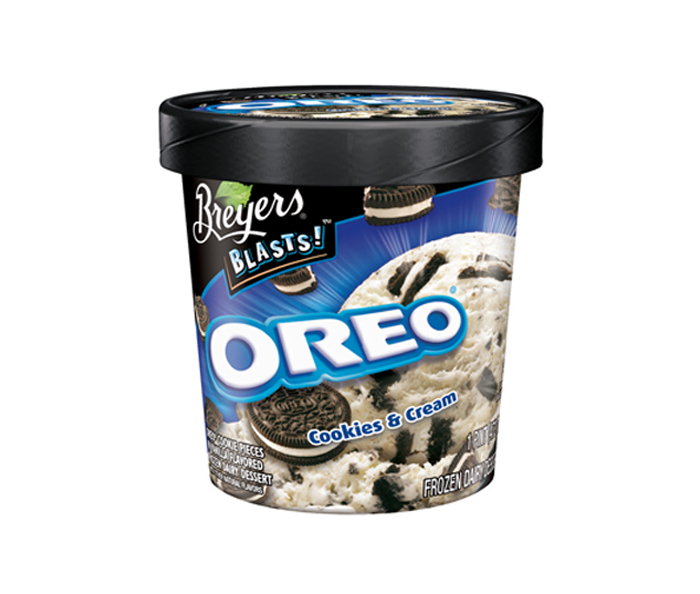 Tasty cookies and cream reduced-fat ice cream, made with real cookies and fresh cream in every bite. 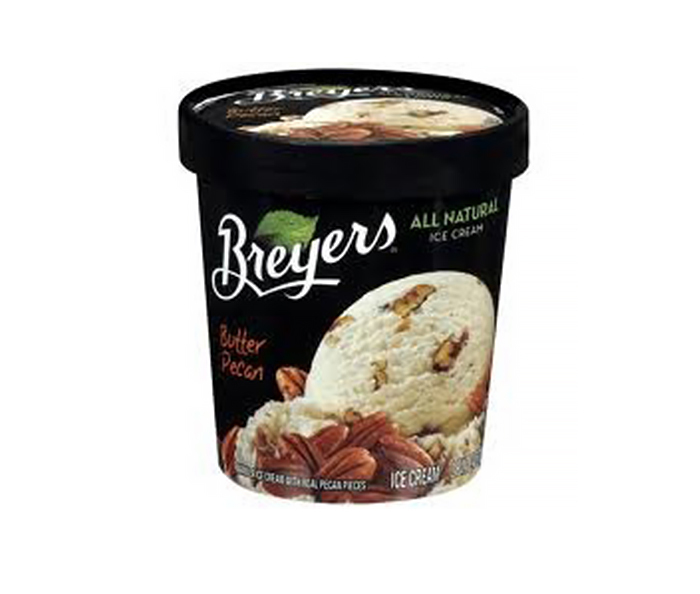 A wondrous combination that your taste buds will love at 330 calories per pint. Rich, creamy low-fat chocolate ice cream made with real cocoa. It's the ultimate chocolate-lover's dream! 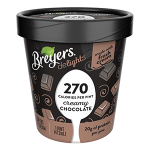 270 calories per pint. 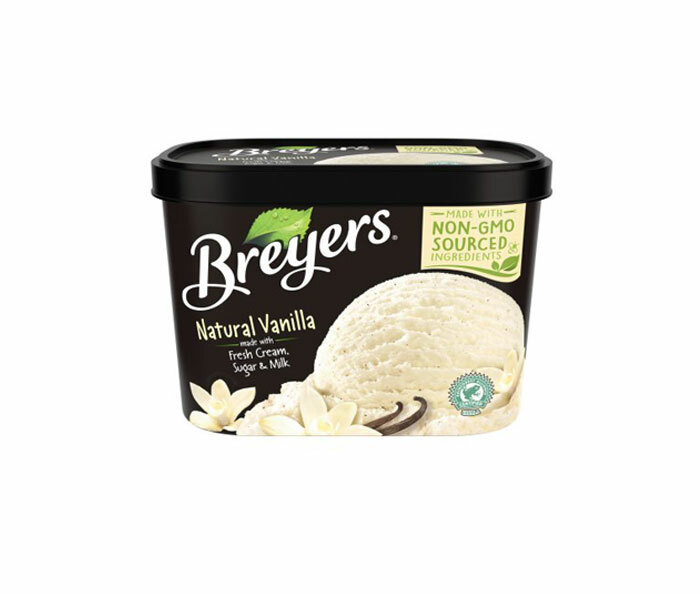 Original Vanilla ice cream made with fresh cream, sugar, milk, and Rainforest Alliance Certified vanilla beans. Made with non-GMO sourced ingredients. 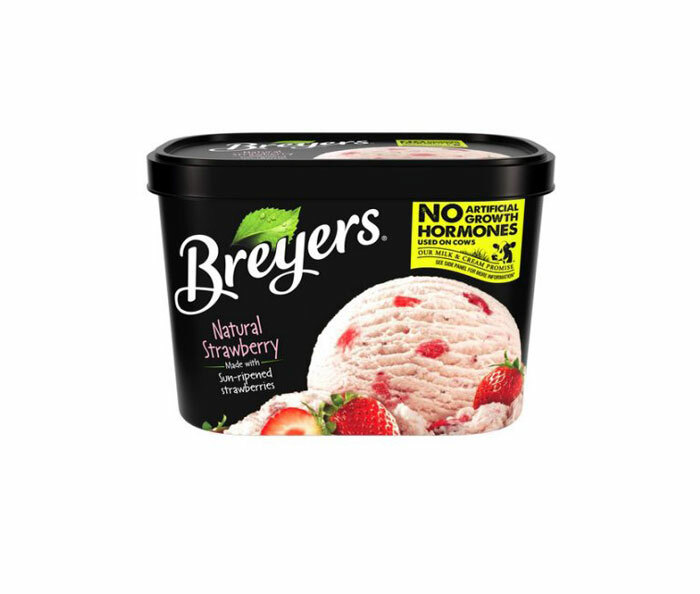 Strawberry ice cream made with non-GMO sourced ingredients and packed with sun-ripened California strawberries picked at the peak of happiness! 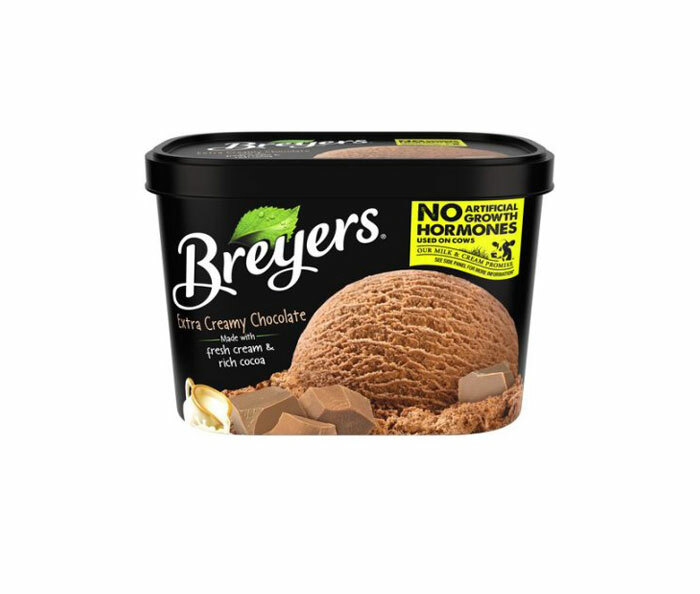 Delicious Chocolate ice cream made with non-GMO sourced ingredients, fresh cream and rich cocoa. 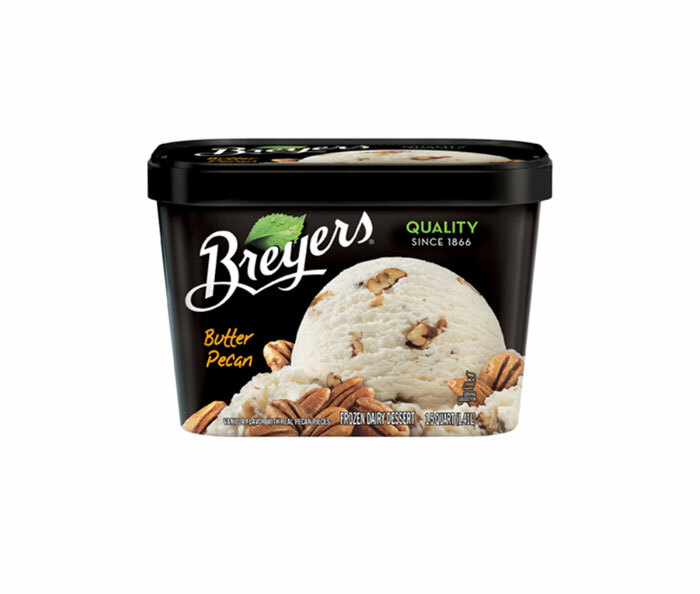 Real butter-roasted pecans nestled in rich, creamy Vanilla frozen dairy dessert. 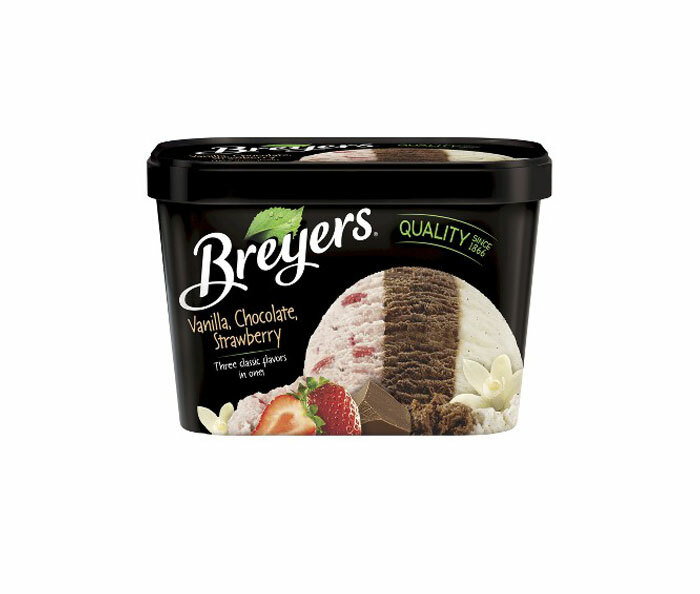 Signature Natural Vanilla, Chocolate and Strawberry ice creams come together in one delicious package. Made with non-GMO sourced ingredients. 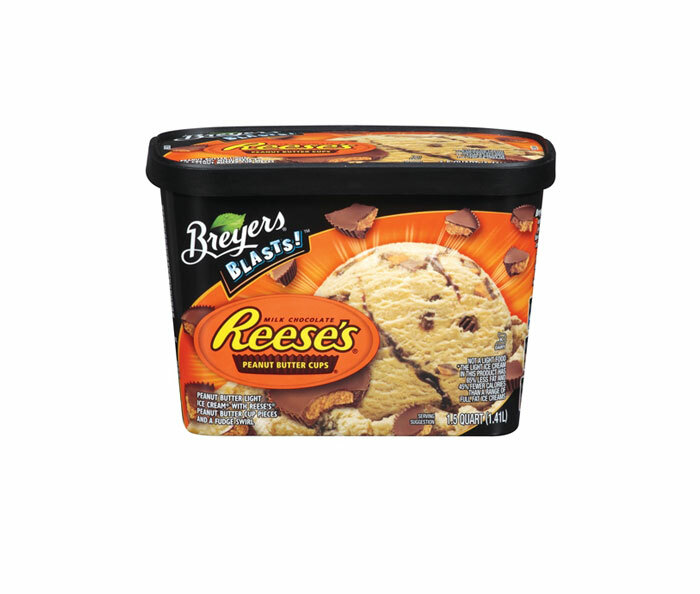 An irresistible combo of chocolate and peanut butter: REESE'S® Peanut Butter Cups and a fudge swirl in a delicious peanut butter frozen dairy dessert. 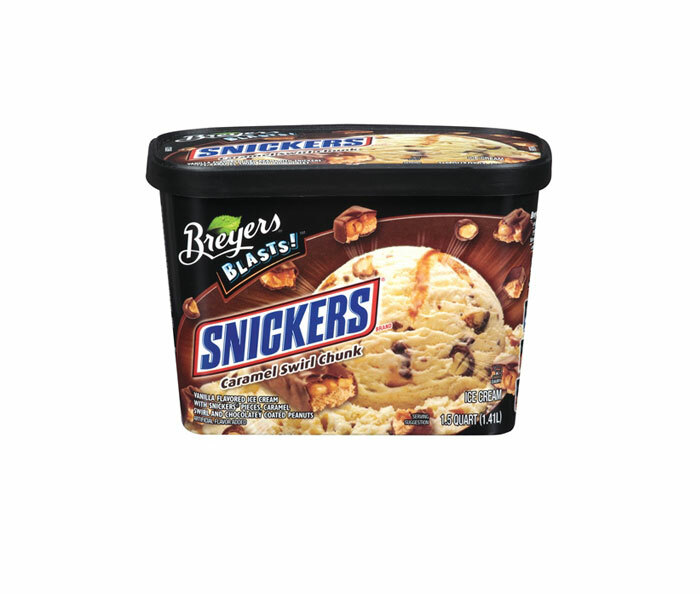 Total satisfaction in every bite, with real SNICKERS Bar pieces, chocolatey covered peanuts, and rich caramel swirls.